Senwan Electronics is a Libyan company specialist in Electrical & Electronic appliances as a group with a diverse range of products and services in the sector across various retail formats and B2B modules all over Libya. 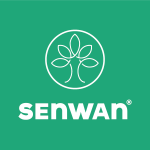 Senwan was established in 2012 as a result of a strategic decision, which was taken by the recent steering committee of the Business Group. The idea was initiated based on the deep and well understanding of the Libyan market, where clients -regardless the size and scope- are looking for a new partner who can deliver professionalism, quality, flexibility and demonstrate high levels of commitment.